The photograph on the right shows the altar of St Peter's Church bearing the cross made in memory of Marine Scott Taylor who died in an explosion on Sunday 30th May 2010 while on foot patrol near Sangin with Alpha Company, 40 Commando. The cross is made from spent shells from the conflict. 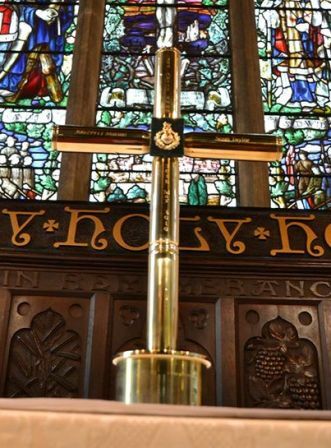 Scott's parents loaned the cross to the Church for a time of Remembrance. At the time the Church published: "There is something deeply poignant about weapons being used to create a symbol of peace and reconciliation. It serves to remind us of the bible verse: '...and they shall beat their swords into plowshares, and their spears into pruning hooks: nation shall not lift up sword against nation, neither shall they learn war any more.' (Isaiah 2:4)." Scott was brought home from Afghanistan, and after a funeral with full Military Honours he now lies alongside the other War dead in Buxton Cemetery. Records show that there has been a Church (and, therefore, a settlement) at Fairfield since the 13th Century, the first Chapel being built in 1260 as it was deemed: “... the village of Fairfield is so distant from its Parish Church of Hope, in winter time when the rain, snow and other bad weather abound in those parts that they cannot attend Church without peril of their bodies”. Following a petition in 1815 the current Church, dedicated to St. Peter, [pictured right] was built in 1839, although it did not acquire full parochial rights from Hope until 1852. 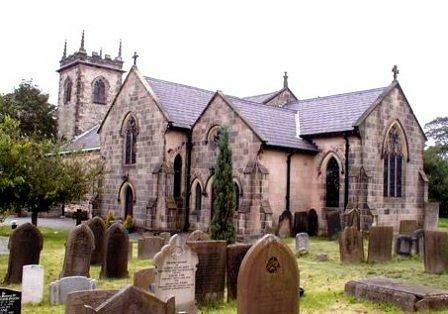 The Church also has a large churchyard which contains the graves of 15 Great War and three World War 2 casualties who died either at home in Buxton, or in British Hospitals and were subsequently buried in their home Parish. It seems, however, that when the Great War ended the Parish never had any intention of erecting a conventional Memorial in the village or churchyard. "A public meeting was held at the Church Institute on Thursday [28th November 1918 - i.e. just 17 days after the Armistice was signed] to discuss the placing of a stained glass window in the east-end of the Parish Church to the memory of the Fallen in the War. The meeting was presided over by the Vicar (Rev. E. L. Harkness, M.A.) [see Footnote below], who was supported by the churchwardens (Messrs. G.J.M. Headington and W.H. Barnes). …. …. A small committee was appointed, with the Vicar acting as hon. secretary and treasurer, it is proposed to invite ladies of the parish to wait on residents with a view to soliciting donations. It is hoped that a liberal response will be the result, and that the proposal may be accomplished at no distant date." Footnote: 'The Buxton Advertiser' of the 15th July 1916 reported that the Brother of Rev. E. L. Harkness, Vicar of Fairfield Church - Captain Percy Yarborough Harkness, 2nd Battalion, West Yorkshire Regiment (Prince of Wales's Own) - was killed in action on the 1st July 1916 - the First Day of the Battle of the Somme. He has no known grave and is commemorated on the Thiepval Memorial. The proposals were put to the Church Diocesan authority and on the 30th August 1919 'The Buxton Advertiser' was able to report that: "… [the diocese had] issued a faculty for the placing of a memorial stained-glass window in the three lights at the east-end of the church. We understand that the work is progressing. The firm of Stained-glass window artists, Messrs. Gamon and Humphrey, of London, have sketched a design for the Grover Window, which, when completed, should be an enrichment to the sacred edifice." 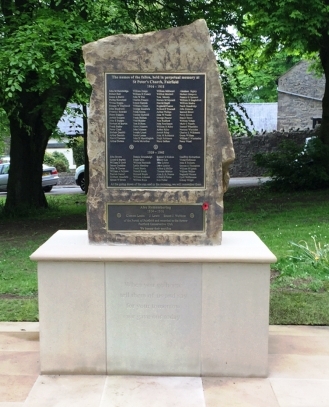 Unlike Buxton's other suburban villages, there was no FAIRFIELD WAR MEMORIAL in the form of a free standing Monument until 2014 when plans were proposed for marking the Great War Centenary with the erection of a suitable Memorial to the Fairfield War dead - see 'Buxton Advertiser', 2nd February 2014. Dedication Ceremony, on 25 September 2016, led by Rev. Carl Edwards. (pictured right). ..... plus, of course, the CWGC Graves and family Memorials in Fairfield Churchyard. Unlike their colleagues across the town in Burbage, who took a very long time debating the nature and location of their Memorial, the Fairfield Memorial Committee acted swiftly to bring its plans to fruition. The response from the inhabitants of Fairfield and their friends has been remarkable and must be gratifying to the instigators of this memorial in the Parish Church of S. Peter." The same article went on to stress that: "… an additional expense will be incurred by the inscribing of the names of the fallen from this Parish on a Brass Tablet to be erected near the East Window. This being so, we are asked to state that the fund is not closed, and that liberal contributions are still being invited to meet the entire cost." "In the Central light, the Crucifixion is representing the Great Sacrifice with angels over the cross adoring. The Cross is situate in a desolate country, marked with shell-holes and ruins in the distance, the sunset on the horizon gives a note of colour across the light. There is a border of thorns leafless and flowerless, until above the sunset when leaves and flowers would gradually appear, bursting into full blossom of roses. Half way up the window is the text under the Crucifixion 'Greater love hath no man than this, that a man lay down his life for his friends'. In the panel below is depicted the delivered Jerusalem within a border of olive trees, and in the side lights S. George, S. Andrew, S. David and S. Patrick, as Patron Saints of the United Kingdom, with shield of England, Scotland, Wales and Ireland, over the respective figures within a border of intertwined roses, thistles, daffodils and shamrocks. The panels below contain within borders of oak leaves, kneeling figures of the Allies - Soldiers, Sailors, a Red Cross Nurse and a Cardinal (Mercier). The Soldiers trailing their National Colours at the salute. The details of the lower panels are shown below - as is - on the right - an often missed tiny detail - the depiction of a Great War aircraft, incorporated just to the left of the Crucifixion scene in the central light. 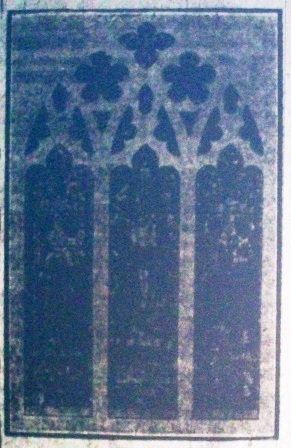 As stated above 'The Buxton Advertiser' of the 15th February 1919, when reporting the proposals for the Stained Glass Window, added: "… an additional expense will be incurred by the inscribing of the names of the fallen from this Parish on a Brass Tablet to be erected near the East Window. This being so, we are asked to state that the fund is not closed, and that liberal contributions are still being invited to meet the entire cost." Clearly, this cost was met as the inscribed brass plaque was unveiled, along with the stained glass window Memorial, on the 27th February 1920. 25 years later, at the end of the Second World War, a matching tablet bearing the names of the Parish War dead was also engraved and mounted alongside the earlier one, near the Memorial Window. 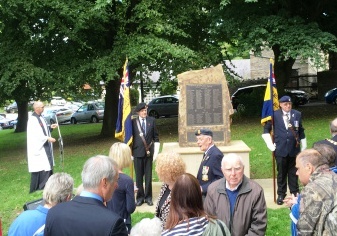 The Great War tablet records 72 names, all of whom are also commemorated on the Town Memorial. After the Second World War was added it showed that 36 men of the Parish died in that conflict. The Service histories of the Great War casualties can be accessed via the alphabetical index at the top of the page. The Second World War CWGC casualty details can be accessed by clicking the highlighted name, below right. If a name is not highlighted the details have not been found. Just over year later, on the 28th February 1920, 'The Buxton Advertiser' on the unveiling of the window and the brass tablet (see below), which took place the previous day, Friday, the 27th February 1920. The Service began with the Hymn: "For all the saints who from their labours rest", followed by the Psalm: "I was glad when they said unto me: We will go unto the House of the Lord". The Vicar, speaking from the Sanctuary, dedicated the Memorials to: "... the lasting memory of those from this Parish who made the Supreme Sacrifice". After the Collect, said by the Bishop of Derby, and more prayers, the names of the 72 men on the Roll of Honour were read. After a short prayer of dedication the Bishop, Dr Abraham. 'The Buxton Advertiser' went on to report that the Church was packed, with many who could not find a seat in the porch and at the rear of the Church. The Memorial window itself was: "... covered by a handsome silk flag, supplied by Mr R. Coddington, J.P. of Bennetston Hall." Also present for the dedication were the Marquis of Hartington; the Mayor and members of the Borough Council; Clergy from the other Buxton Parishes, and many other local persons of note. At 7.00 p.m. on Tuesday, 11 November 2014 there was a service of re-dedication of the Memorial East Window. In what was reported to be a beautiful, poignant service the window was be re-dedicated by The Rt Revd Alastair Redfern, The Bishop of Derby. In the tracery, in the top panel, there is the Holy Dove with cherub heads below it, to link on to the Crucifixion. In the two cinque foil panels, within oak leaf borders the 'Cross Keys' emblem of St. Peter, to whom the Church is dedicated, and the badge of the Sherwood Foresters - the initials N. and D. (Notts and Derby) occur in the two small triangular pieces below - the other small pieces of tracery are filled with oak leaves and acorns. 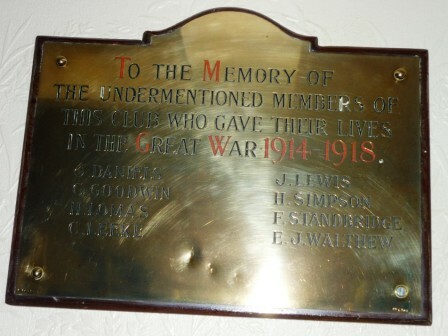 The dedicatory inscription runs along the bottom of the window, and is as follows: 'To the glory of God and in lasting memory of the men of this Parish who gave their lives for their country in the Great War, 1914 - 1919'"
A third plaque, which now resides in Fairfield Social Club, was later dedicated to the men of that Club. The Churchyard surrounding St. Peter's Church, Fairfield, contains the graves of 15 Great War and three Second World War casualties, who succumbed to their injuries or illnesses and were buried in their local community. 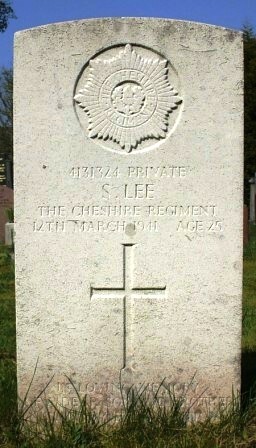 In addition, a number of family graves bear reference to their fallen relatives with inscriptions on the headstone. Horace Matthew MYCOCK; Richard B. PEACOCK; George PROCTOR; William H. RILEY, and Samuel W. STREET. 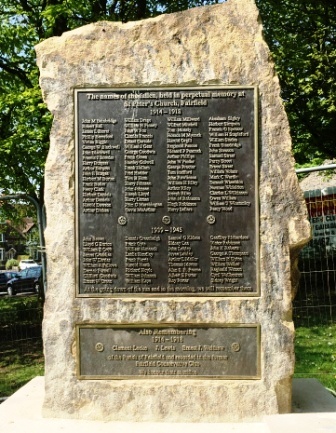 The above names are also on the Town Memorial on The Slopes, Buxton, and their family and Service histories can be accessed either through the alphabetical index at the top of the page, or by clicking on the highlighted name above. Pt. 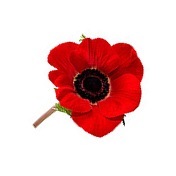 36134 Alfred RILEY, King's Own Yorkshire Light Infantry, died 14th December 1920. Pilot Officer J/5140 John Kenneth ROBERTS, aged 19, Royal Canadian Air Force, died 18th July 1941.
free standing War Memorial to commemorate the War dead of the village of Fairfield. place, in time for the centenary commemorations. year and the new Memorial was dedicated in September 2016 (see above).